A lawsuit brought by the major record labels -- Sony, Universal, Warner -- against SiriusXM has barely begun, and yet the case is skipping ahead to the issue of jury instruction. This is a dispute that is four decades in the making, ever since sound recordings began falling under federal copyright protection. The question the lawsuit poses is what to do about sound recordings created before 1972. The plaintiffs are attempting to use California state misappropriation claims to punish SiriusXM for allegedly not paying royalties. To settle the issue, a California judge will need to decide whether California laws protect the public performance of pre-72 music. And so, the record labels have filed a motion so that a judge will clarify the law. The plaintiffs believe this case is about fairness. According to its motion, "Sirius XM unabashedly seeks to attract users to its service by offering channels dedicated to Pre-72 Recordings (including 1940s, 1950s, and 1960s channels) and by using Pre-72 Recordings to promote its channels, such as by using classic Rolling Stones recordings to advertise the 'Deep Tracks' channel and, just last week, highlighting the works of the late singer/songwriter Pete Seeger on Sirius XM's 'The Village' and 'Outlaw Country' channels. Notwithstanding the bounty that Sirius XM is receiving from its unfettered use of some of the most iconic sound recordings of all time — including recordings by artists such as the Beatles, the Rolling Stones, Led Zeppelin, The Supremes, Bob Dylan, and hundreds of others — it refuses to pay the artists who created those cultural treasures, and those who own the rights to them, any portion of the millions of dollars Sirius XM makes each year from those Pre-72 Recordings." Case law on the topic of the digital performance of pre-72 recordings is scant. The plaintiffs have identified one case -- Capitol Records v. BlueBeat -- as acknowledging a defendant who "publicly performed" pre-72 recordings "without proper authorization," although the truth of the matter was that in that particular case, it was merely one district judge's opinion, didn't go into depth on the topic and seemed to be thrown in among many liabilities after the defendant had conceded it. 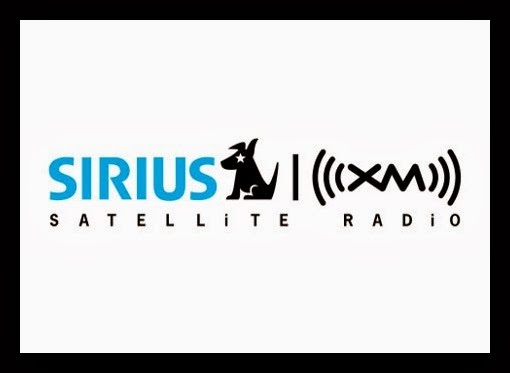 SiriusXM is defending multiple lawsuits on the pre-72 issue, and in one of the other class actions, a judge noted it was a matter of "first impression." The record labels are turning to one of their favorite lawyers -- Russell Frackman at Mitchell Silberberg & Knupp -- to handle the lawsuit, which is potentially worth hundreds of millions of dollars and could shake up satellite radio and more. After all, in its own court papers, SiriusXM has hinted the issue of pre-72 music could impact "a wide variety of music users, including radio and television broadcasters, bars, restaurants and website operators." It might have taken four decades to settle the issue of pre-72 music, but now the plaintiffs want the law clarified right away. In the motion for jury instruction (read in full here), the plaintiffs say it won't "implicate any proposed affirmative defenses that Sirius XM may later assert." One of the expected defense is laches -- that the plaintiffs prejudiced the situation by waiting so long to bring claims.